In the latter part of the 20th century, Rick Gualtieri was born. The world as a collective said 'meh' and thus he began his journey through a life filled with all sorts of quirks and oddness. What better thing to do than write about it? Rick Gualtieri is the author of The Poptart Manifesto, a collection of humorous short stories, and Bill The Vampire, the first in The Tome of Bill series of horror/comedy adventures. He currently lives in NJ, a good place to be for people like him. 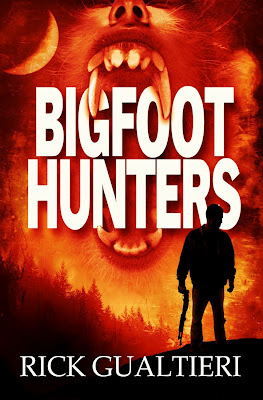 An ancient terror has descended upon a remote Colorado town. The legendary beasts known as Sasquatch have emerged from the woods, hell-bent on killing everything in their path. The only thing standing in their way are a group of wayward campers, a few scared survivors, and the host of a cable TV show...but it might just be enough. It’s tons of muscle and fury versus a whole lot of bullets in a battle to determine once and for all; who is the hunter and who is the hunted. 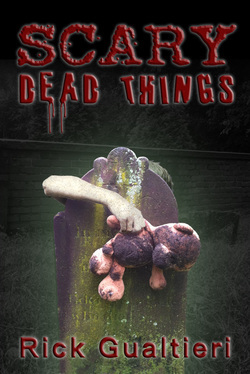 Now Bill awakes to find himself an undead predator of the night. The only problem is he's still at the bottom of the food chain. He's in way over his head, surrounded by creatures more dangerous, better looking, and a whole lot cooler than he is. 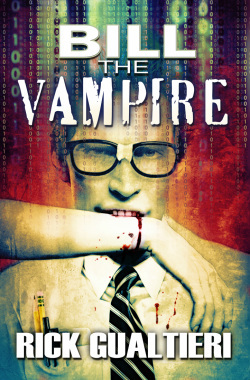 Worst of all is the dreaded Night Razor, a master vampire who just can't stand him. He gives Bill a 90 day deadline to either prove himself or meet a more permanent kind of death, and the deck is definitely stacked against him. But Bill isn't exactly average. A vampire like him hasn't been seen in over five centuries. He's got a few tricks up his sleeve, unlikely allies to help him out, and an attitude problem that makes him just too damn obnoxious to quit. He may just pull it off...if he doesn't get his teeth kicked in first. What do umbrellas, mutants, dead plumbers, and of course Pop-Tarts have to do with each other? Nothing really. However, they're all things that the author thinks about...A LOT. Take a journey down this path and see how all of the above, plus a bunch of other odd topics, make their twisted sense to the author. 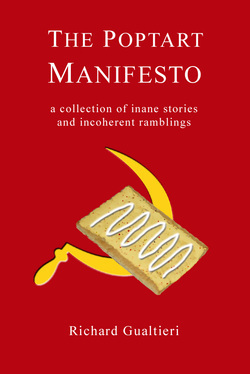 The Poptart Manifesto is 13 short stories of weird thoughts coupled with slightly out of the ordinary events that are sure to make you think. Or not. But they might, just might, give you a chuckle or two.